Last week De'Von Pickett and Eric Parker, two of Nicki Minaj's crew members, were in Philadelphia to rehearse for Minaj's upcoming show. During an altercation at a bar, Pickett, of the Bronx, N.Y., was stabbed to death and Parker received multiple stab wounds. 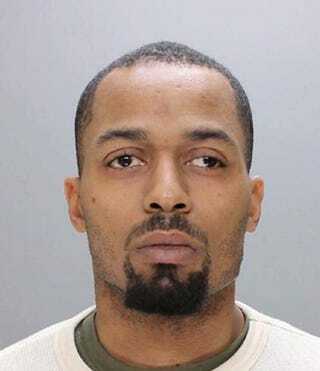 According to the New York Daily News, Philadelphia cops have arrested a suspect, 31-year-old Pierce Boykin, in connection with the stabbing of Parker. Boykin was charged Monday with attempted murder, aggravated assault, terroristic threats, simple assault and related offenses. Authorities have not charged anyone in the death of Pickett. "At this time, they just have enough information that ties that subject to stabbing the second gentleman," police spokeswoman Christine O'Brien said. Pickett's pastor said that in an attempt to make sure a woman got to her car safely, Pickett lost his life. "He and another young man offered to walk this young lady to her car to make sure she was safe," the Rev. David Wright said. "In walking her to her car, they were approached and attacked by two other men from the Philadelphia area that they did not know. That's when De'Von was fatally stabbed." Authorities say that the investigation is still active and they will continue to search for Pickett's killer.